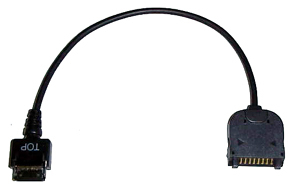 Supplynet, one of the world's most comprehensive resource for replacement PCMCIA modem cables and cellular data cables, have developed cellular connectivity kits for all Handspring Visors to fit the most popular cellular phones including; Motorola, Samsung, Sanyo, Kyocera, Audiovox and many others. Included in the Handspring cable line is the new Visor Edge cellular cable which will be available mid May, 2001. "Supplynet is proud to add these new cables to our product line which give the 'road warrior' additional flexibility and portability," said Robert Berkey, President and founder of Supplynet, Inc. These lightweight cables enable a person to send/retrieve email and surf the web wirelessly using their Visor hooked up to a Cell Phone. For more information, and for complete details on product specifications, availability, pricing and support call 1-800-826-0279 or visit www.thesupplynet.com.